Why Calabar Carnival Should Be On Your Christmas To Do. - GlobeFarers | Travel Tips & Tour Bookings. The Calabar Carnival , also tagged ” Africa’s Biggest Street Party”, was created as part of the vision of making the Cross River State in Nigeria, the number one tourist destination for Nigerians and tourists all over the world. The carnival begins on every 1 December and lasts until 31 December. The carnival brings together over 5000 visitors to the city every year. Masques, parades, colorful street party and dance shows all get together to create a mood of celebration. 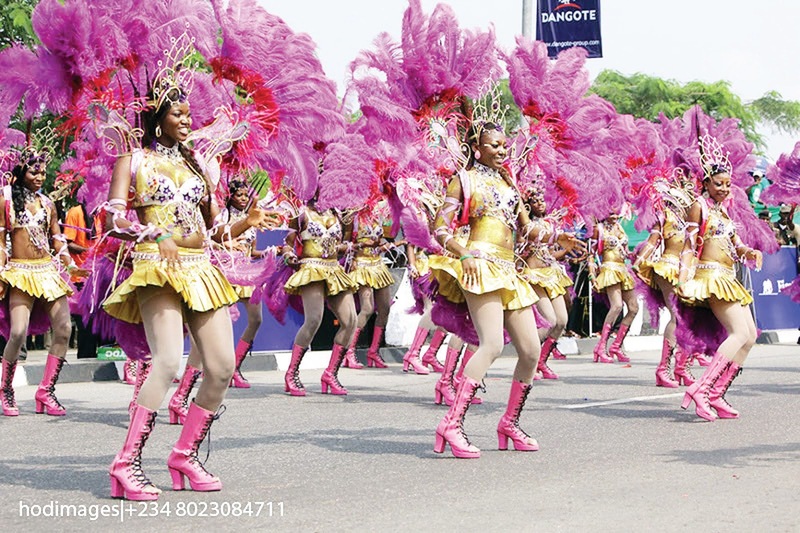 Jumia Travel shares why the calabar carnival should be a must have on your Christmas to do. Calabar is well known for its rich traditions and a profound cultural heritage, however due to the ensuing of commercialism; this rich traditional heritage is not seen quite as much . The Calabar carnival revitalizes the people with renewed energy, exposing the city’s unique identity. You can savor traditional Calabar food and drinks while tapping your feet to a local band’s music. Also, most activities are interposed by the very modern and chic shows, colorful parades and DJ Nights which bring on a different hue to the carnival altogether. The Calabar Carnival is open to all and sundry, people from all over the world attend and all kinds of people from different sects, age groups and societies participate and mingle. Every member of the family and society at large have a way to participate and enjoy, as even toddlers are enthralled by the colorful clothes, music, masquerades and dances too. Masses unite in feting and friendship, creating opportunities for accruing best-time-ever moments with old friends, and turning strangers to kindred. It’s an excellent way to network with people. Feting for the Calabar carnival is an enduring business. The carnival stretches out over a month and features a lot of activities. Your stamina will certainly be tested, but you will enjoy every moment. From the colorful atmosphere and live band performances to the street dances, the food and drinks, the glee revivifies anxieties with festive fervor, causing a major distraction from the dilemmas of life. As is with carnivals, the Calabar carnival involves a lot of gallivanting and trekking, you are bound to move around and explore a lot of areas while carousing. The Carnival ensures that participants travel around Calabar and are basically guided through the entire city via interesting routes and boulevards. The best thing about the exploration is the umpteen merrymaking and fun that always comes with it. In addition to the activities and location, the Calabar carnival gives the participant a good chance to relax and unwind. The activities and fun distract you from your worries, you don’t just witness these events, but participate in the madness as well and that has a way of revitalizing your life and spirit. Also, there are ample restaurants, bars and lounges where you can kick back and relax. The fiesta holds in December, Is there a better way to end the year?